Our agency and staff members have tremendous amounts of experience handling domestic and international adoptions. IAN has facilitated adoptions in the United States, China, Guatemala, Nepal, Ukraine, Kazakhstan, Ethiopia, Uganda, India, Mexico and Bulgaria, as well as assisting with many other countries through our post adoption and homestudy services. The majority of our placements and services are with our International Programs. We are experienced in meeting the legal and cultural requirements of the foreign adoptive country, as well as the adoption laws of Colorado and the United States. We provide pre-qualified, carefully screened adoptive parents to the foreign country for consideration so that children are placed in loving, healthy environments full of opportunity. Joan founded the agency in 1999, after working in the adoption field herself. She has had a long career working with children and education. She has a passion for linking children with opportunity. She lives in Denver, CO with her Husband, Henry, and has daughter, who has recently made her a proud Grandma to their first child, a little girl. Joan was born and raised in China, and has spent much time there, as well as many other countries, seeing the need of children living in orphanages first hand. She enjoys spending time with family, going to the theater, traveling, her dog Max, and of course serving children and families through adoption. Hannah joined the IAN team in April 2017. She graduated from the University of Minnesota with a B.S. in Marketing. 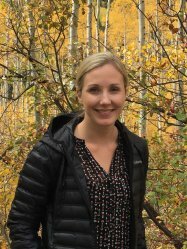 She loves outdoor activities especially fishing, volleyball, hiking and snowmobiling – and has recently started skiing. Other passions include reading, baking, and of course spending time with friends and family. Hannah is grateful for the relationships and support given her by a loving family and is excited to help orphaned children find the same richness for their own lives. At the age of 15 years old, Katie traveled abroad to work at an orphanage in Kenya, Africa for a month. Her life was truly changed from that experience and she knew she wanted to spend her time and resources helping orphaned children find a place where they belonged. Traveling is one of her passions. She has been to over 12 countries on 4 different continents. In her free time she plays volleyball, hikes in the mountains, longboards and volunteers at her church. She is an invaluable member of our team, quickly learning all the different countries adoption process and helping families in all stages. She feels it is an honor to help families grow and be a part of their journey. Ashlee started with IAN in September of 2017. 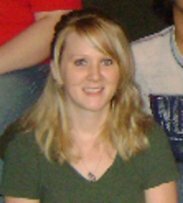 Before IAN, Ashlee worked in many different capacities in the child welfare area as a child protection case worker, a foster parent licensing and adoption worker, home study writer, and school social worker. She has traveled and volunteered in orphanages and group homes in different parts of Mexico, and has a heart for vulnerable children and struggling families. 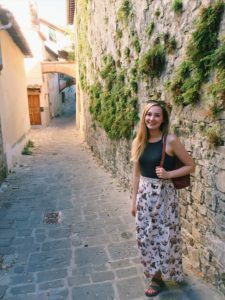 In her spare time, Ashlee likes to spend time with her family, learn new languages, travel, and advocate for international orphans through several different small non-profits groups that work primarily in Ukraine. Karla has been helping families navigate the international adoption process since 2003. She has traveled internationally, meeting with foreign adoption officials and orphanage directors. She has assisted in the adoptions of over 450 children from various country programs including China, India and Bulgaria. Karla is married with two teenage daughters. In her free time, she can be found on the pool deck officiating YMCA and USA swim meets. Bob Mardock is under contract with International Adoption Net and serves as IAN India Program Coordinator. He also serves as the co-founder and president of International Family Services, a domestic and international adoption organization that has helped place over 5000 children into US homes. Bob comes with a rich 30-year background in the world of adoption. As a high schooler his parents opened their home to a teen in need of a home and Bob saw the impact an “open heart – open home” had in foster-brother Paul’s life. Later, when Bob met and fell in love with Carol, they decided adoption would be part of their family culture. Six adoptions later, and four biological kids (yes, that’s 10 kids) the Mardocks live a full family life. Bob has been involved in India for over 20 years and has overseen the adoptions of nearly 500 children from India. Adoption has been a blessing, and a huge part of Bethany’s life since her family adopted her first brother from Korea when she was 8 years old. She now have 6 more adopted siblings (from Vietnam, India, and the U.S.) bringing the number of kids in her family to 10. Her mom began working in the adoption field about 19 years ago, when they adopted her sister from India, which allowed her to assist her and learn more about the adoption process. In 2007, she was given the opportunity to officially work with the India program, and she has been “hooked” ever since. She is honored to work as Bob Mardock’s assistant for IAN’s India program, and to be a small part in bringing children and families together. Esther Haines was born and grew up in China, she came to United States when she was young adult to complete her education in the US. Esther is married to Rev. Todd Haines who is Presbyterian minister and Moderator of Synod of Northeast of Presbyterian Church and they have two beautiful by racial children, Rachel and Jonathan. Esther has been working in the field of China adoption for 20 years, and helped over 600 Chinese children find caring and loving homes. She is called to serve families and children. Esther has across culture understanding between the US and China, working for several years translating and training many professionals involved with China. Her life and professional experiences have made a great contribution to adoptive families and children in the field of China adoption. She believes that adopting a child is journey, it is journey home and journey of love, adoption is a beautiful way to build a family. Lisa has a background of working with children and families. She is passionate about bringing families together and helping children thrive. Lisa moved to Colorado from Illinois and could not be more happy with her decision. In her free time she enjoys traveling, hiking, trying new foods and spending time with her friends and family. Allison is originally from Chicago, Illinois and is a graduate of Moody Bible Institute. She has a background in photography and ministry leadership, but has always been passionate about adoption. Her grandma adopted 5 children from South Korea and has left a legacy of international adoption in her family. She believes that adoption is an incredible opportunity that transforms both a child and parents’ lives, and believes every child deserves a loving, nurturing family. She loves hiking, cooking, coffee, road trips, her family, and spending time with her husband and Miniature Australian Shepherd. Joe is known as Uncle Zhou. He’s helped over a thousand families to adopt their children from China during the last 22 years. He keeps close contacts with the China adoption officials and orphanages. He accompanies the families to China through their entire adoption process in China, and in the meantime, introducing to them the Chinese culture and traditions. Most importantly, he loves children, and has an admiration for the adoptive families. His hard work and efforts make the adoption trip less stressful and more enjoyable for the families. He feels it is an honor to be involved in the adoptive families’ lives. He likes to play ping-pong, and hopes to soon be showing you around China on your adoption trip! After twenty seven years of doing various Social Work assignments for a large Denver area human services agency, Sylvia went to work for ten years as a Social Worker and Administrator for a combined Department of Labor and Denver Public Schools initiative. In 2006 she returned to the full time practice of Social Work in the adoption arena. She has worked for human service agencies doing domestic adoptions and foster and kin care studies and for several international adoption agencies in the metropolitan area. She has degrees in Psychology and Social Work and a Juris Doctor. Sylvia reads, does needlework, gardens and travels internationally in her spare time and she and her husband celebrated fifty four years of marriage this year. Misty earned her Bachelor of Behavioral Science from Southwestern College in Phoenix, AZ. She has been working in the field of foster care and adoption since 2006 when she began her career working in Child Protective Services for the state of Arizona. Since then Misty has worked as a Case Manager for Unaccompanied Refugee Minors with Lutheran Family Services and most recently as a Social Worker with IAN. In addition to her professional background, Misty and her husband are also adoptive parents of two beautiful boys from Ethiopia. This has given her a professional and personal level of understanding when it comes to adoption and fuels her desire to help others navigate the process. Sheri has been working as a social worker for IAN since December 2007. She loves being able to help families through the adoption process by completing their home study and post placement reports. Sheri earned a Psychology degree from Colorado Christian University in 2002. 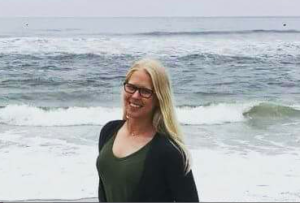 Prior to working for IAN, she has worked in a residential treatment center, in home based services for families and individuals dealing with crisis and mental health issues, and as a Child Protection Caseworker for Denver county. Sheri is married and has two boys. She enjoys hiking, working out at the gym, playing games, volunteering at her boys’ school, and spending time with her family and friends. Henry Strauss has had a distinguished career in business and government. He is the founder and chairman of Strauss Enterprises a property investment and Management Company. He served as Regional Administrator of the Small Business Administration under President Carter and as Chairman of the Colorado Real Estate Commission under Governor Lamm. In addition he has had extensive international business experience serving on the District Export-Import Council and on the Board of the World Trade Center. We are fortunate to have his insight to organizational operations as part of our team! Lou Bluestein is a retired attorney, who worked for Renaissance Technologies Corp., a small money management company in New York. He works extensively with youths, including working in the Denver Juvenile Court as a Deputy State Public Defender, volunteering in Arapahoe High School, coaching middle school girls in volleyball (Gold Crown and the South Metro Volleyball League). He has a true passion for the rights of children, and an advocate for adoption. His legal mind brings a great perspective to the board! He has been a long term, committed member of our agency. Ms. Mimi Hu is an attorney at the law firm of Patton Boggs LLP, one of the top 100 AmLaw firms in the country. Ms. Hu specializes in health care law, assisting nonprofit hospitals with their regulatory compliance issues and representing them in agency appeals and in federal court. Ms. Hu is also a volunteer attorney for the Rocky Mountain Children’s Law Center, serving as guardian ad litem to advocate on behalf of minors in domestic violence disputes. We are thankful for her perspective, again bringing legal insight to our team, and her passion for children! Ms. Segraves is Executive Director of the Asian Art Coordinating Council, a prominent Colorado developer of art exchanges between China and the United States. Her professional experience includes work as a lecturer, curator for several art museums and councils, adjunct professor and art appraiser. She has numerous publications and articles to her credit. Ms. Segraves is the mother of a young man whom she adopted when he was an infant. Her perspective as an adoptive parent brings so much to our team, and she is has always been supportive member of the adoption community. Ms. McKay has had a thirty-year career as news editor of the Denver Post, Denver’s largest newspaper. She is the adoptive mother of a sixteen-year-old girl who was born in China. She offers insights to IAN on international adoption procedures and problems. Among her affiliations are the Board of Directors of Asian Art Coordinating Council and the Board of Directors of the Colorado China Council. Again we are so thankful to have her support, and her contributions to the team as an adoptive parent.